vintage heart fabric shaped pin cushion with a bit of pink & white polka dot and some orange cotton. 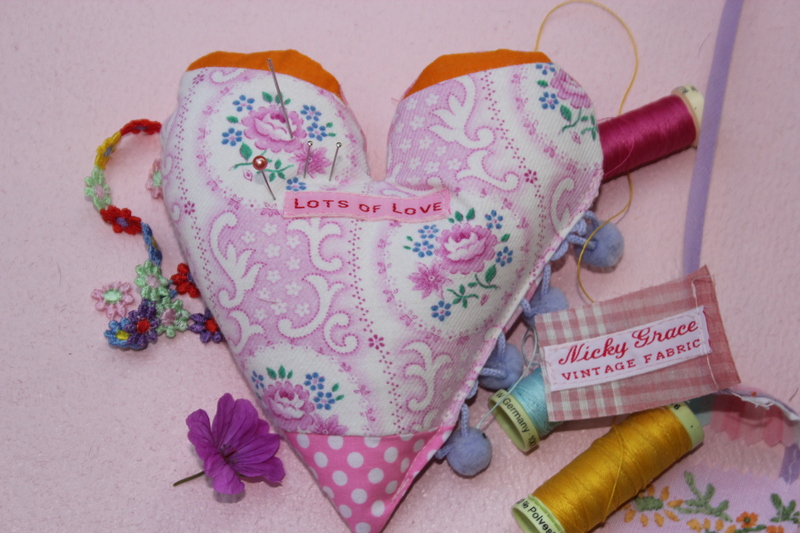 I’ve sewn my ‘Lots of Love’ label on the front and some lavender coloured bobbles down the side. It’s nice to have something pretty to look at whilst doing a bit of sewing. What a beautiful photograph, you are clever at composition & the pin cushion is beautiful too.